The plans include the completion of cycling improvements in Beeston to encourage people to cycle. 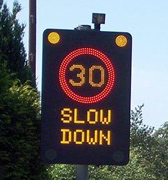 Also included are more speed signs throughout the County to encourage drivers to slow down. To read the full press release from Nottinghamshire County Council click here.